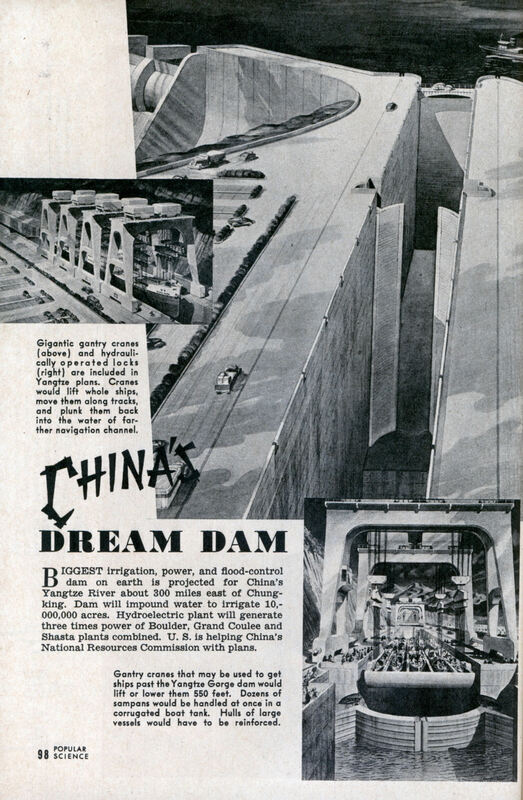 It looks like China has been thinking about the Three Gorges Dam for a long time. BIGGEST irrigation, power, and flood-control dam on earth is projected for China’s Yangtze River about 300 miles east of Chungking. Dam will impound water to irrigate 10,000,000 acres. Hydroelectric plant will generate three times power of Boulder, Grand Coulee and Shasta plants combined. U. S. is helping China’s National Resources Commission with plans.